I've been working on a few new pieces lately. 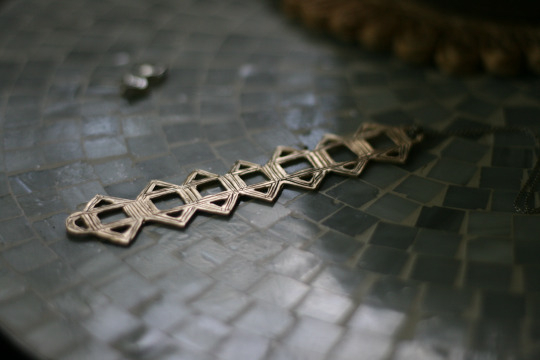 This necklace was first carved in wax, cast in brass. I love working in brass, because it can look so much like 14Kgold. In my opinion, the market undervalues brass, but I'll take it, if it means I can more easily experiment and play!